MUMBAI: The high voltage Pakistan-India contest in the forthcoming Asia Cup 2018 is likely to be held in a rescheduled date on demand of BCCI, reported Bangladesh Cricket Times. 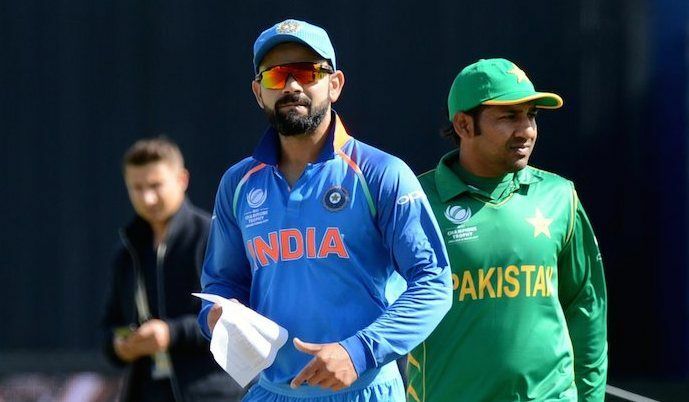 The BCCI reportedly yenned for the fixture to be changed as under the present schedule, India will have to appear in back to back matches on September 18 and 19 with the confrontation against Pakistan to be held on the later date at the Dubai International Stadium. “This is unacceptable and has to be revisited. Maybe for the organisers, it is just a money-spinning game but for us, it is important that there be equity in scheduling,” the unnamed official added. Many former cricketers also complained about the match schedules taking it negatively playing two fifty-over matches in consecutive days. It is after a gap of 12 years that India and Pakistan will play each other in the UAE. “To play two ODI matches without a break in Dubai’s hot weather is not correct scheduling,” added Virender Sehwag. The Asia Cup commences just after ending the five-match Test series between India and England leaving Indian cricketers no time at all to prepare for the big Asian clash flying to Dubai. India belongs to Group A along with Pakistan and the qualifier team while Group B consists of Sri Lanka, Bangladesh and Afghanistan. The top two teams from each group will play in the Super four and thereafter the top two teams from the Super four will play the final on September 28 in Dubai. The fourteenth edition of the Asia Cup has been modelled in its’ old 50 over format after a year of happening in T20 version in 2016. The tenacious Indo-Pak clash has constricted to ICC events only as the never-ending political rivalry between these two countries virtually restrained any possibility of bilateral matches.